Our world just became a little less colourful as our precious Glenn passed on Sunday, November 18th. It is with great sorrow that the family of Glenn Gerard McCann announce his passing. Glenn leaves to honor, cherish, and celebrate his generous soul, his huge heart and often luminous and entertaining personality: his mother Teresa, his partner Joanne, devoted father to his four children Nathan, Kriste (Wayne), Jeremiah and Julie-Anna; his siblings Mary (Stephen), Ray (Marion), Arlene (Jim), Judy (Greg), Percy (Aicha), Ann (Theresa), Michael (Polly); and numerous aunts, uncles, cousins, nieces and nephews. Also left with treasured memories are his valued and loyal friends: Mike Hughes, Larkin Gaudon, Ray and Wayne Hann, Andy Traverse and the Nortrax family, Mikey and Rick Gaudon, Tedo March, Bobby Janes, Jerry and Glenn Benoit, Kevin Bourgeois, Myron Fitzgerald, Terry Harvey, Francis Bennett, Billy Gosbee, Jimmy Cochrane, Bernard and Sonia Trudeau and Charlie McCormack, to name but a few. Predeceased by his treasured father Peter McCann (Sr), brother Peter McCann (Jr) and his sister Phyllis. On October 30, 2018, Glenn received medical test results and was told that cancer, originating in his kidney, was moving rapidly through his body and that he should go home and take care of his affairs. The following day he was informed that he had “approximately two weeks” to live. With incredible courage, presence, fortitude, and love and knowing that every minute was precious – he personally called his mother, each one of his children and all his siblings – chatting to each one of them individually, breaking the news. With the steadfast support of his brother Michael, by his side, Glenn used every-last moment to do things that would seem impossible to most, but that would make this incredible loss less painful for all who loved and cared for him. Persevering tremendous pain and discomfort, Glenn generously gave time to each of the many valued friends and relatives who dropped by to talk with him one last time. Glenn remained kind and humble to the end, inviting friends and colleagues to drop by his garage to help themselves to a vast array of tools, treasures and accessories accumulated over a lifetime – his way of saying thank-you. Glenn was grateful for every moment of his life and didn’t waste any of them. 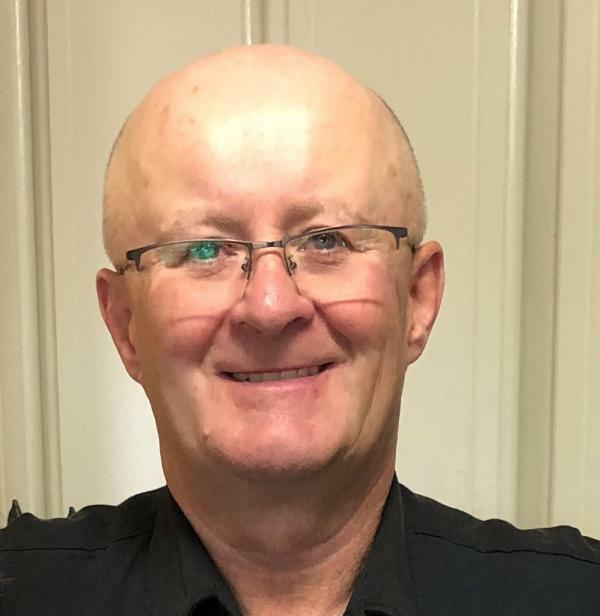 After completing two degrees at Memorial University, Glenn served as the Departmental Coordinator for the Heavy Equipment School at the College of North Atlantic for over a decade. He cared for his students, understood their concerns, and they appreciated his down to earth and practical approach to teaching the necessary skills needed for their completion. Next, he took the courageous leap of going full time into his own construction business in order to generate the additional funds necessary to see all of his children complete secondary education. A creative and loveable character to many, Glenn epitomized kindness and devoted many volunteer hours to numerous causes and individuals. Glenn had diverse skills and applied them at every opportunity in his family and often in service to others. Like his parents, Glenn worked very hard to ensure his children had options and opportunities to pursue their careers. Glenn embraced a strong commitment to the promotion and importance of education and supporting oneself. Another remarkable spirit has moved on and now we are left to feel his energy and his smile and try in some way to be comforted by the caring memories of this precious man. We treasure the legacy he has left for his children and for the rest of us - strength of character, outstanding courage, consistent kindness and unwavering concern for others. Glenn had a wonderous sense of humor, vivid personality and kind heart. A special thanks to all who loved our Glenn and shared in his life. Thank you to the Physicians who offered their compassion and professional support: Dennis Rashleigh, Dave Thomas, Stewart Rorke, Aiden Brazil, Sheila Lewis, Zack Atwood. A very special appreciation to Dr. Amy Pieroway, who, in spite of her busy practice in Corner Brook, demonstrated an incredible presence and ability to understand the preciousness of Glenn’s last days, both in his home and in palliative care. In particular, doctors’ Pieroway and Thomas, and palliative care nurse Natasha Washington touched Glenn’s heart as the epitome of caring - translating compassion into action, letting Glenn know, beyond a doubt, that he was a priority for them. A special thank-you to Glenn’s grade eleven teacher, Mary McCormack, for her valuable wisdom in assisting with service preparations. Glenn always enjoyed sharing humorous moments with Mary. Even though we will never again feel the physical touch of Glenn on earth, we will forever feel his presence as he lives on in our hearts and in our stories. A Celebration of Glenn’s Life: Visiting with family will be from 2-4 and 7-9 PM on Monday, November 19, 2018 at Russell’s Funeral Home, 57 Prince Rupert Drive in Stephenville. A service of requiem will take place at Maria Regina Parish Church on Tuesday, November 20 at 10:30 AM. A reception will follow at Our Lady of Mercy Gym, Port-au-Port West. In lieu of flowers, donations can be made in Glenn’s name to a scholarship at his alma mater: The Memorial University of Newfoundland and Labrador Peter and Teresa McCann (his parents) Scholarship Trust Fund. Donations can be made by calling 1-877-700-4081, online at https://www.mun.ca/alumni/give/.